NEW LISTING! SPECTACULAR SUPERSTAR STUDIO + LOWEST MT $736!!! 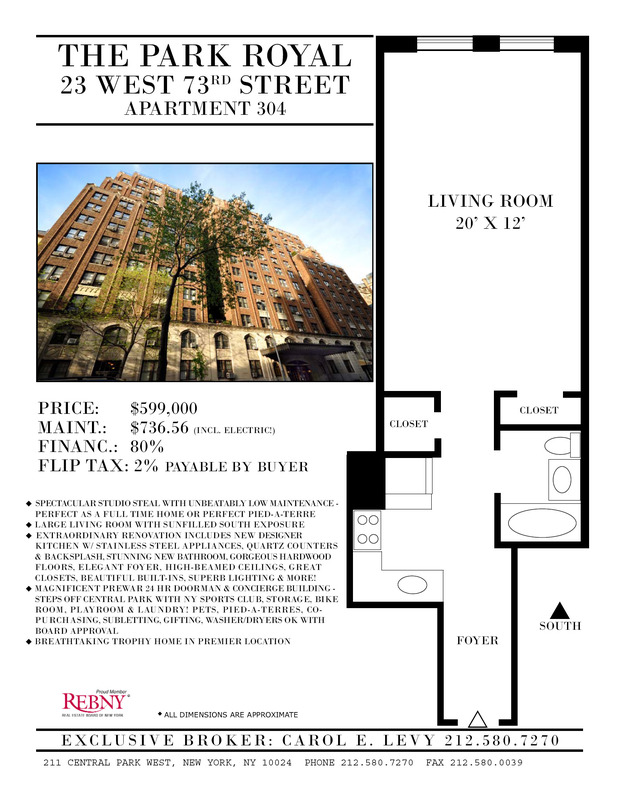 You finally found it -- the spectacular studio home or perfect pied-a-terre you have been searching for! This exquisite and rare prewar gem on the fourth floor of the iconic Park Royal has it all: a coveted location steps off Central Park, a full-service preeminent landmark building, and an UNBEATABLE and unbelievable low maintenance of $736 including electric! The exceptional features include a sunny southern exposure, an exquisite new kitchen with top-of-the-line stainless steel appliances, gorgeous cabinets, quartz counters and backsplash, stunning and huge renovated bathroom, an elegant foyer, high-beamed ceilings, lovely hardwood floors, wonderful prewar details, excellent closets and stunning lighting make this a designer showplace! The quiet park block street affords a peaceful retreat. Designed by the renowned architect, George F. Pelham, the Park Royal offers a premier address with Central Park outside your door, in addition to the finest culture, dining, shopping, and transportation. 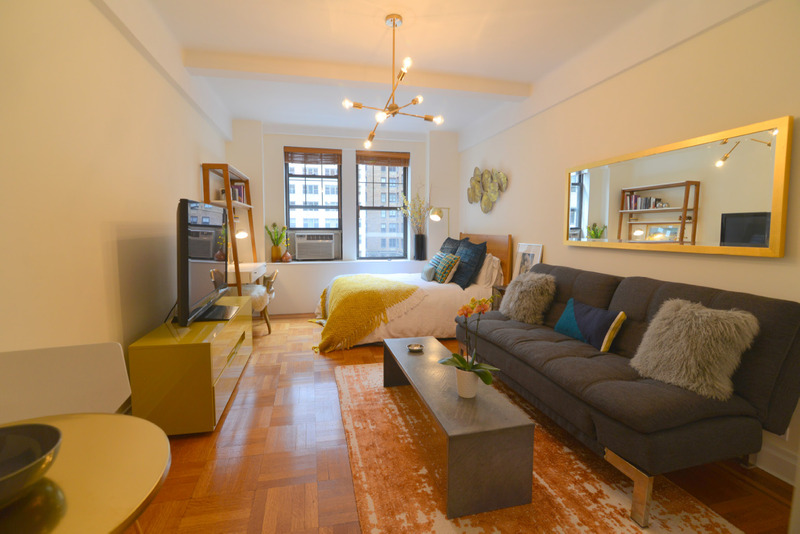 Residents enjoy white-glove service, 24 hour doormen and concierge, a resplendent lobby, New York Sports Club in the building, bicycle room, storage lockers, children's playroom, laundry, Wi-Fi, a sharing library, and a pet friendly environment. Pied-a-terres, co-purchasing and washer/dryers are acceptable with board approval. Yes, you can have it all with this affordable trophy home by the park!